Well one holiday down one to go. We got up early yesterday and did the turkey trot and then came home and Scott made us breakfast. We should have planned a light lunch too so that we wouldn't be starving when we got to my brother's house for dinner. I may have eaten 4 deviled eggs. I forgot to count. AND some salami pepper things and yeah. Also my idea of not drinking went out the window after about 10 minutes. So much for that. This little one may have stole quite a few marshmallows off the sweet potato pie! My niece totally liked me for 2 whole seconds! Scott totally does not like hard boiled eggs but he decided to try a deviled egg. He didn't throw up, but it was close. Then I exploded and came home and went to bed. Well actually first we washed the dishes, then we drove home past all the stores with crazy people out shopping. Which for some reason pisses me off. The only good thing I can see about it is that the people working will have more money for Christmas. Maybe it's because my kids are older but the idea of going out and buying so much "STUFF" just kind of makes me sick to my stomach. Why do we all think we need so much? I started my morning by joining friends, family and one neighbor to do a turkey trot around the club! Next year I will start earlier and try to get more people involved. It was great to have my friends drive out here to join me! 1. I'm thankful for my husband. He's aweseome. 2. I'm thankful for my mom, she always drops whatever she is doing to help me out if I ask her. 4. I'm thankful for my health. 5. I'm thankful for my community. I live in a wonderful place. I'm so glad I moved there and the great friends I have made. 6. I'm thankful for my kids. They are my life.11. I'm thankful for lazy Saturday mornings! 8. I'm thankful I've never been wealthy. While that may sound weird and the opposite of many people's dreams, I've never desired to be rich. I think being able to be "creative" with what money we have/had has made me a better person. attention to them before until one day I saw her run out of the club hall and stand on the porch and marvel at the beautiful sunset. Taking time to enjoy the simple things in life like the sunset with friends or even in a quiet moment by yourself just gazing at the beautiful sky. Ahhh life doesn't get much better than that! 11. I'm thankful for lazy Saturday mornings! 13. I'm thankful for Girl Scouts because that is where I met my great friends Carolyn and Deanna. Can't imagine life without them! 14. I'm thankful for the website Lose It. 18. I'm thankful for having not one but 2 Dads, how lucky am I? 20. I'm thankful for the nice breakfast Scott makes us every weekend. to see my soul sister Sarah today! No one makes me laugh so hard! 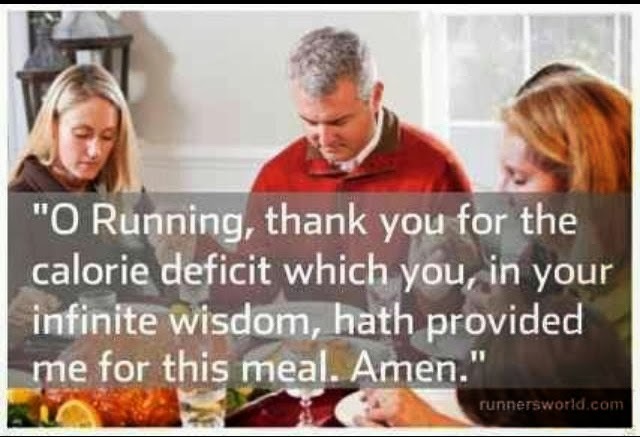 28: I'm thankful for all my online fitspiration peeps! You keep me motivated! Anyone that knows me knows that I hate Wal Mart. I don't like to shop in there. I'd rather just go to Target where the aisles are not full of crap and the people don't walk 12 wide down them. BUT it was really cold at work the other day so I decided I'd run into Wal Mart on the way to work to get a little heater for my desk. I picked one up and thought to myself, see Wal Mart isn't so bad! There was hardly anyone there (7 am) and the lines were short and the store was clean. So I got to work and all excitedly plugged in my new heater and it felt great! For about 10 minutes. Then it turned off and wouldn't ever turn back on. So I threw it back in the box and finally got a chance to take it back today. 45 minutes later I finally got my refund. I'll go buy a new one at Target. Finally I got a run done! I was going to go Sunday and then went nah I'll wait until Monday. But I forgot that I had a date with my friend Sarah after work and didn't get home until late. So today was the day. 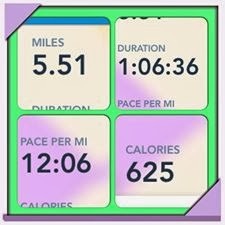 But first I had to go to work, run errands, make dinner, clean up and THEN I got to go for a run. I put on my new running shoes again to give them one more try. When I first tried to run OH IT HURT. I ran a few feet walked a few feet and my foot was cramping up and my knees hurt and my shins were hurting. I made it about a mile of walking and limping along and then came back home and put my old shoes back on. Ahhh then I ran 4 1/2 more miles. Not really fast and my knees were still hurting a bit and my blisters were rubbing but they felt 100 times better than the other shoes. So I'm taking those back soon. I think I want to stick to Saucony's. They seem so much lighter. 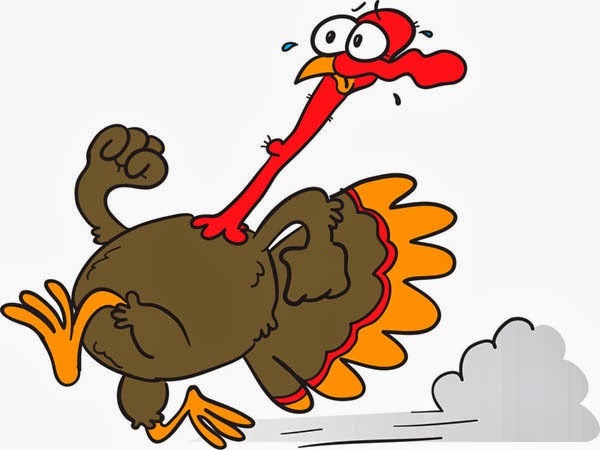 In other news, I decided to plan my own little Turkey Trot out in my neighborhood on Thanksgiving morning. I made an invite on Facebook and invited my friends and neighbors in the area. I hope more than my family shows up haha. If not that's ok too I'll still run around the lakes on my own. So if you live close by come on over and meet us by the rose bushes at 8 am. Unless you have an excuse like my sister in law and plan on getting your drink on. Yes, that's what she said haha. I asked at 8:00??? She said well maybe 8:45! I've been so lazy all weekend! It's awesome. We hardly ever have time where there is nothing going on. Today I have book club at 2 but that is the only plans for the whole weekend. Friday after work I decided that I should PROBABLY read my book club book and then I read that and the next two books in the series yesterday. The next book in the series comes out in 2014 I guess. They are only loosely related to each other but I think the author is a great story teller! They aren't real long books but they are so good! 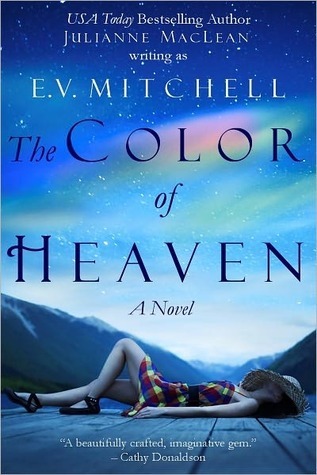 So the book club book is The Color of Heaven. I did a little sigh when I first started it because it lets you know right away that there is going to be a death in there. You just don't know what it is. I really could not put it down until I finished it, it was that good. I'm hoping all my book club peeps actually read it so we can get a goo discussion going on it. I started this book right after finishing the first book in the series. I liked how the author tied in the first book but let this one also stand by itself. This book is about Kate, who is a paramedic. One of the paramedics that came to the rescue of Sophie from the last book. Kate has quite a story to tell about how she got to where she is. Young love, death and heartache. It's hard to talk about these books too much without giving things away. Also the book is about Ryan, who was a wild boy until a bad accident made him turn the corner and become a doctor. Kate and Ryan's lives eventually come together to find each other and much more. This is the story of Diana and Nadia. Diana is the adopted daughter of a Senator. Nadia is the adopted daughter of a divorced maid. After several people tell Diana that they have seen her in more than one place at the same time she sends someone to investigate and finds out that it appears she has a twin! Can you imagine, thinking you are all alone in the world with no blood relatives and then you not only find out you have a sister but one that looks exactly like you. What comes next is a story of love, deception and healing. The author says at the end of the book that she is working on another book to come out next year call The Color of a Dream and that it continues on with Nadia. Yeah it's Friday!! The day I wait for all week. I didn't have time to do a shake this morning so I took the tub of cottage cheese to work with me and an apple. But first I ate that scone from the night before. I'm pretty sure I've ate more cottage cheese than anyone I know. I was to the point of being grossed out by it not that long ago but I think I'm ok with it again. I like to mix 1/2 a cup of it with some fruit of some kind. This apple wasn't very good. I think it was a little under-ripe. Everyone at home had spaghetti for dinner on Thursday night so I didn't bring any of those left overs to work. Instead I had the last of the chicken tortilla soup, zucchini and green salad. I knew I was going to be hungry again soon. While I was sitting there someone brought in left over brownie bites and some other pure deliciousness that I would like to face plant in. Oh and also there was a pecan fudge pie thing on the break table too. Back to work before my lunch time is over to get away from it all. Eventually I took a walk over to vending machine and looked for something snacky. Not the best choices but it got me through. STARVING when I got home and in a bad mood because of it. I made a veggie omelet with 2 eggs, some red fat cheese, onions, peppers and mushrooms and threw some salsa on top. I can't believe my dog let me sit like that for a long time. For dinner I wasn't even hungry but everyone else was getting restless so I dragged myself away from my book to make the meal I had planned. Skinny Salisbury Steak with Mushroom Gravy. Originally I was going to make the cauliflower potatoes but those bad boys were $4 a head so I decided I'd just make regular mashed potatoes for the fam bam and made myself mashed sweet potatoes (yams). I actually finished the day under calories (my target was 1671 for a one pound a week weight loss but I weigh every day so it adjust a bit depending on if I go up or down). I finished at 1491. I need to work on doing more protein at work. I think I"m going to start buying a flat of eggs when I go shopping and boil some up for work snacks. I definitely felt fuller when I made the omelet with whole eggs instead of egg whites. I think it's worth the extra calories. I'm mostly posting these for myself so I can recollect later! I got to work and what is this? Oh just the roof leaking on this girl's desk like it does EVERY YEAR. Every year they say they fixed it. Lunch was left over soup from Wednesday and a salad with leftover chicken from Tuesday. That chicken made a pretty good salad. When I got home I was starving but I had a date set up to go out to sushi with my friends so I was trying not to eat too much. So I had some veggie soup. Then before long it was off to sushi! My friends and I tried a new place called Matsuyama. My friend Dee said one of her friends told her to try the seaweed salad. I was skeptical. Then I saw it and I was even more so. Carolyn tried it first, she didn't think it was too bad. I had a few bites and then :shudder: decided it was gross. Kind of vinegary and a weird texture. We got a sashimi plate which was pretty good. and a Spiderman Roll, which was my favorite of the night. It had some crushed cashews on it. Yum yum. Somehow we managed to eat it all. STUFFED.